Volunteers are needed to assist with various projects and opportunities with Elevate NWO. 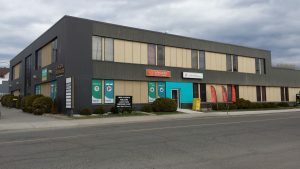 Elevate NWO is a community-based, not-for-profit organization that provides services and opportunities to people affected by HIV/AIDS and Hepatitis-C in Thunder Bay and Northwestern Ontario. 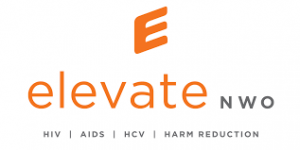 Elevate NWO is a leading source in Northwestern Ontario for confidential HIV/AIDS and Hepatitis C (HCV) and Harm Reduction education, prevention, advocacy and support. Formed in 1985 as AIDS Thunder Bay and renamed as Elevate NWO in 2014, they raise awareness of discrimination and stigmatization related to HIV and Hepatitis C while responding proactively to the emergence of these viruses in our region. Elevate NWO develops programs and services that respond to the changing needs of the community they serve. They’re leaders in making our community a more inclusive, caring place to live. As a non-profit organization, their dedicated employees provide support services without judgement to people at risk of, living with or affected by HIV and Hepatitis C.
Elevate NWO is seeking friendly and compassionate people, who are community-minded, to man our front desk. Three (3) hour shifts are available, morning and afternoon, 4 days a week. Light duties and training provided. We are looking for volunteer floor runners to help at our charity bingos, which are held at Superior Shores Gaming Association 435 Memorial Ave. Bingos occur twice a month and you will be contacted as you’re available. The funds raised go towards our food bank. Training is provided by Superior Shores Gaming Association. This is a great opportunity to meet new people or to volunteer with a friend!